Designed especially with women in mind, our Champions Women’s Only Fitness Area has now expanded! Stay downstairs to use the women’s only weight room where you will find weight machines and free weights. Go upstairs to use our “just for the gals” cardio room. Designed especially with women in mind, our Champions Women’s Only Fitness Area has now expanded! 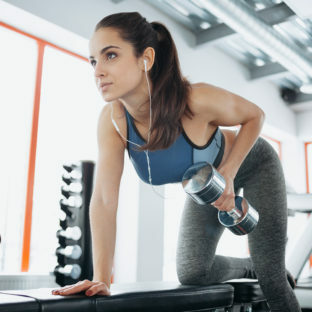 Stay downstairs to use the women’s only weight room where you will find weight machines and free weights all enclosed in a quiet atmosphere, secluded from the rest of the club. Go upstairs to use our “just for the gals” cardio room. Designed specifically for our ladies, this private room has several pieces of cardio equipment that can be used at any time during regular business hours. You’ll consider this not just a workout, but a retreat from the stresses of everyday life. In addition, we offer private showers and private changing rooms in the Women’s Locker Room. Since we provide on-site childcare services, you can rest assured that your child is having fun and staying safe during your workout.